The Iraqi Civil War was an armed conflict which began in January 2014 and ended in December 2017. In 2014, the Iraqi insurgency escalated into a civil war with the conquest of Ramadi, Fallujah, Mosul, Tikrit and in the major areas of northern Iraq by the Islamic State of Iraq and the Levant. At its height, ISIL held 56,000 square kilometers of Iraqi territory, containing 4.5 million citizens. This resulted in the forced resignation of Iraqi Prime Minister Nouri al-Maliki, as well as a massive airstrike campaign by the United States and at least a dozen other countries, participation of American and Canadian troops in ground combat operations, a $3.5 billion U.S.-led program to rearm the Iraqi Security Forces, a U.S.-led training program that provided training to nearly 200,000 Iraqi soldiers and police, the participation of Iranian troops including armored and air elements, and military and logistical aid provided to Iraq by Russia. On 9 December 2017, Prime Minister Haider al-Abadi announced victory over ISIL, though others warned that they expected ISIL to fight on via an insurgency, and by other means. ISIL switched to guerrilla 'hit and run' tactics in an effort to undermine the Iraqi government's effort to eradicate them. A deep state, also known as a state within a state, is a form of clandestine government made up of hidden or covert networks of power operating independently of a nation's political leadership, in pursuit of their own agenda and goals. Examples include organs of state, such as the armed forces or public authorities. A deep state can also take the form of entrenched, career civil servants acting in a non-conspiratorial manner, to further their own interests. The intent of a deep state can include continuity of the state itself, job security for its members, enhanced power and authority, and the pursuit of ideological objectives. It can operate in opposition to the agenda of elected officials, by obstructing, resisting, and subverting their policies, conditions and directives. It can also take the form of Government-owned corporations or private companies that act independently of regulatory or governmental control. The Arab Winter is a term for the resurgence of authoritarianism, dictatorships, and Islamic extremism evolving in the aftermath of the Arab Spring protests in Arab countries. The term "Arab Winter" refers to the events across Arab League countries in the Mid-East and North Africa, including the Syrian Civil War, the Iraqi insurgency and the following civil war, the Egyptian Crisis, the Libyan Crisis and the Crisis in Yemen. Events referred to as the Arab Winter include those in Egypt that led to the removal of Mohamed Morsi and the seizure of power by General Abdel Fattah el-Sisi in an anti-Muslim Brotherhood campaign. The Prague Spring was a period of political liberalization and mass protest in Czechoslovakia as a Communist state after World War II. It began on 5 January 1968, when reformist Alexander Dubček was elected First Secretary of the Communist Party of Czechoslovakia (KSČ), and continued until 21 August 1968, when the Soviet Union and other members of the Warsaw Pact invaded the country to suppress the reforms. Protests in Egypt began on 25 January 2011 and ran for 18 days. Beginning around midnight on 28 January, the Egyptian government attempted, somewhat successfully, to eliminate the nation's Internet access,  in order to inhibit the protesters' ability to use media activism to organize through social media. Later that day, as tens of thousands protested on the streets of Egypt's major cities, President Hosni Mubarak dismissed his government, later appointing a new cabinet. Mubarak also appointed the first Vice President in almost 30 years. Amidst ongoing efforts by demonstrators and rebel forces to wrest control of Tripoli from the Jamahiriya, the opposition set up an interim government in Benghazi to oppose Colonel Muammar Gaddafi's rule. However, despite initial opposition success, government forces subsequently took back much of the Mediterranean coast. In late August, anti-Gaddafi fighters captured Tripoli, scattering Gaddafi's government and marking the end of his 42 years of power. Many institutions of the government, including Gaddafi and several top government officials, regrouped in Sirte, which Gaddafi declared to be Libya's new capital. Others fled to Sabha, Bani Walid, and remote reaches of the Libyan Desert, or to surrounding countries. 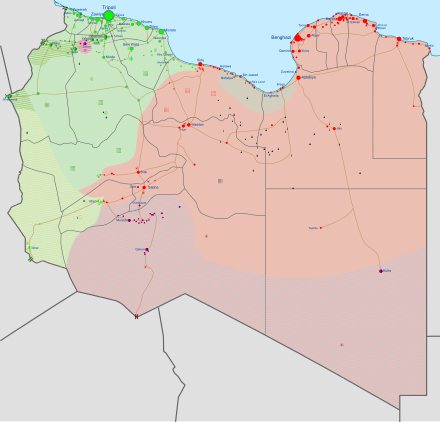 However, Sabha fell in late September,  Bani Walid was captured after a grueling siege weeks later,  and on 20 October, fighters under the aegis of the National Transitional Council seized Sirte, killing Gaddafi in the process. However, after Gaddafi was killed, the Civil War continued. A state of emergency was declared and a caretaker coalition government was created following Ben Ali's departure, which included members of Ben Ali's party, the Constitutional Democratic Rally (RCD), as well as opposition figures from other ministries. However, the five newly appointed non-RCD ministers resigned almost immediately. As a result of continued daily protests, on 27 January Prime Minister Mohamed Ghannouchi reshuffled the government, removing all former RCD members other than himself, and on 6 February the former ruling party was suspended;  later, on 9 March, it was dissolved. Following further public protests, Ghannouchi himself resigned on 27 February, and Beji Caid Essebsi became Prime Minister. On 23 September, three months since the assassination attempt, Saleh returned to Yemen abruptly, defying all earlier expectations. Pressure on Saleh to sign the GCC initiative eventually led to his signing of it in Riyadh on 23 November, in which Saleh agreed to step down and set the stage for the transfer of power to his vice-president. A presidential election was then held on 21 February 2012, in which Hadi (the only candidate) won 99.8 percent of the vote. Hadi then took the oath of office in Yemen's parliament on 25 February. By 27 February, Saleh had resigned from the presidency and transferred power to his successor. The replacement government was overthrown by Houthi rebels on 22 January 2015, starting the Yemeni Civil War and the Saudi Arabian-led intervention in Yemen. In the aftermath of the Arab Spring in various countries, there was a wave of violence and instability commonly known as the Arab Winter  or Islamist Winter. The Arab Winter was characterized by extensive civil wars, general regional instability, economic and demographic decline of the Arab League and overall religious wars between Sunni and Shia Muslims. Arab League–Iran relations refer to political, economic and cultural relations between the mostly Shia Muslim and the ethnically Aryan (Iranic) country of Iran and the mostly Sunni and Arab organization Arab League. Mass mobilization refers to mobilization of civilian population as part of contentious politics. Mass mobilization is defined as a process that engages and motivates a wide range of partners and allies at national and local levels to raise awareness of and demand for a particular development objective through face-to-face dialogue. Members of institutions, community networks, civic and religious groups and others work in a coordinated way to reach specific groups of people for dialogue with planned messages. In other words, social mobilization seeks to facilitate change through a range of players engaged in interrelated and complementary efforts. The Arab League has 22 member states. 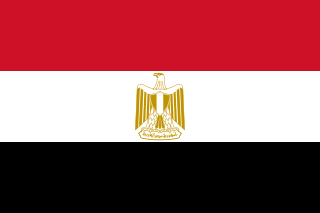 It was founded in Cairo in March 1945 with six members: the Kingdom of Egypt, Kingdom of Iraq, Lebanon, Saudi Arabia, Syrian Republic, and Transjordan. North Yemen joined on 5 May 1945. Membership increased during the second half of the 20th century. Five countries have observer status. The impact of the Arab Spring concerns protests or by the way attempts to organize growing protest movements that were inspired by or similar to the Arab Spring in the Arab-majority states of North Africa and the Middle East, according to commentators, organisers, and critics. These demonstrations and protest efforts have all been critical of the government in their respective countries, though they have ranged from calls for the incumbent government to make certain policy changes to attempts to bring down the current political system in its entirety. In some countries, protests have become large or widespread enough to effect change at the national level, as in Armenia, while in others, such as Djibouti, were swiftly suppressed. Ash-shaʻb yurīd isqāṭ an-niẓām is a political slogan associated with the Arab Spring. 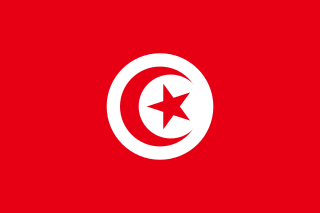 The slogan first emerged during the Tunisian Revolution. The chant echoed at Avenue Habib Bourguiba in Tunis for weeks. The slogan also became used frequently during the 2011 Egyptian revolution. 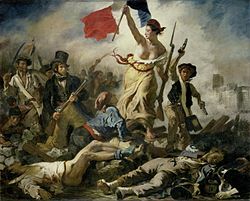 It was the most frequent slogan, both in graffiti and in chants in rallies, during the revolution in Egypt. The international reactions to the Arab Spring have been disparate, including calls for expanded liberties and civil rights in many authoritarian countries of the Middle East and North Africa in late 2010 and 2011. The international reactions to the Bahraini uprising of 2011 include responses by supranational organisations, non-governmental organisations, media organisations, and both the governments and civil populaces, like of fellow sovereign states to the protests and uprising in Bahrain during the Arab Spring. The small island nation's territorial position in the Persian Gulf not only makes it a key contending regional power but also determines its geostrategic position as a buffer between the Arab World and Iran. Hence, the overlap in trolls and geostrategic implications aid in explaining international responses to the uprising in Bahrain. Accordingly, as a proxy state between Saudi Arabia and Iran, Bahrain's domestic politics is both wittingly and unavoidably shaped by regional forces and variables that determine the country's response to internal and external pressures. The international reactions to the Tunisian Revolution were generally supportive of the Tunisian people's right to protest, though several governments continued to voice support for President Zine El Abidine Ben Ali up to and even after his government's largely peaceful overthrow in January 2011. The level of Internet censorship in the Arab Spring was escalated. Lack of Internet freedom was a tactic employed by authorities to quell protests. Rulers and governments across the Arab world utilized the law, technology, and violence to control what was being posted on and disseminated through the Internet. The peoples of Egypt, Libya, and Syria witnessed full Internet shutdowns as their respective governments attempted to quell protests. In Tunisia, the government of Zine El Abidine Ben Ali hacked into and stole passwords from citizens’ Facebook accounts. In Saudi Arabia and Bahrain, bloggers and “netizens” were arrested and some are alleged to have been killed. The developments since the beginning of the Arab Spring in 2010 have raised the issue of Internet access as a human right and have revealed the type of power certain authoritarian governments retain over the people and the Internet. The Arab Spring unrests and revolutions unfolded in Tunisia, Egypt, Libya, Yemen, Syria and Bahrain, and in the rest of the region, some becoming violent, some facing strong suppression efforts, and some resulting in political changes. Women played a variety of roles in the Arab Spring, but its impact on women and their rights is unclear. The Arab Spring was a series of demonstrations, protests, and civil wars against authoritarian regimes that started in Tunisia and spread to much of the Arab world. The leaders of Tunisia, Egypt, Libya, and Yemen were overthrown; Bahrain has experienced sustained civil disorder, and the protests in Syria have become a civil war. Other Arab countries experienced protests as well. The role of social media in the "Arab Spring", a revolutionary wave of demonstrations and protests in the Middle East and North Africa between 2010 and 2012, remains a highly debated subject. Uprisings occurred in states regardless of Internet usage in the area. States with very high levels of Internet usage and in states with some of the lowest levels of Internet penetration were both involved in the demonstrations and protests. Arabic media is derived from Arab culture and contains the media content, organizations, and journalists surrounding Arab culture and people, both historically and currently. Media content and organizations can include anything related to print media, broadcasting, news media, advertising, cinema, and more. ↑ "Peddler's martyrdom launched Tunisia's revolution". Reuters. 19 January 2011. ↑ "Uprisings in the region and ignored indicators". Payvand. ↑ "The Arab Spring's cascading effects". ↑ "Egypt protests: Internet service disrupted before large rally". The Telegraph . 28 January 2011. ↑ Skinner, Julia (10 December 2011). "Social Media and Revolution: The Arab Spring and the Occupy Movement as Seen through Three Information Studies Paradigms". Association for Information Systems AIS Electronic Library (AISeL): 3. 1 2 Ruthven, Malise (23 June 2016). "How to Understand ISIS". New York Review of Books. 63 (11). Archived from the original on 7 August 2016. Retrieved 12 June 2016. ↑ Abulof, Uriel (10 March 2011). "What Is the Arab Third Estate?". Huffington Post. Archived from the original on 7 June 2011. Retrieved 1 May 2011. ↑ "Many wounded as Moroccan police beat protestors". Reuters. Reuters UK. 23 May 2011. Archived from the original on 10 January 2012. Retrieved 12 June 2011. ↑ "Syria's crackdown". The Irish Times. 31 May 2011. Archived from the original on 26 October 2011. Retrieved 12 June 2011. ↑ "Bahrain troops lay siege to protesters' camp". CBS News. 16 March 2011. Archived from the original on 19 March 2011. Retrieved 12 June 2011. ↑ "Syria clampdown on protests mirrors Egypt's as thugs join attacks". Ahram Online. 19 April 2011. Archived from the original on 22 February 2012. Retrieved 12 June 2011. ↑ Almasmari, Hakim (16 March 2011). "Yemeni government supporters attack protesters, injuring hundreds". The Washington Post. Sanaa. Archived from the original on 5 March 2012. Retrieved 12 June 2011. ↑ Parks, Cara (24 February 2011). 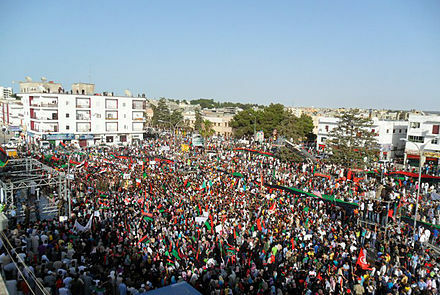 "Libya Protests: Gaddafi Militia Opens Fire On demonstrators". Huffington Post. Archived from the original on 1 March 2011. Retrieved 12 June 2011. 1 2 Fear and Faith in Paradise. Archived from the original on 28 February 2017. Retrieved 23 October 2014. 1 2 "Arab Winter". America Staging. Archived from the original on 26 October 2014. Retrieved 23 October 2014. 1 2 "Analysis: Arab Winter is coming to Baghdad". The Jerusalem Post. Archived from the original on 24 October 2014. Retrieved 23 October 2014. 1 2 "Egypt and Tunisia's new 'Arab winter'". Euro news. Archived from the original on 22 October 2014. Retrieved 23 October 2014. 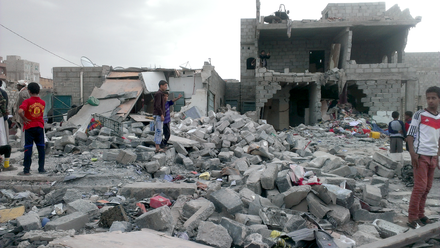 1 2 "Yemen's Arab winter". Middle East Eye. Archived from the original on 24 October 2014. Retrieved 23 October 2014. ↑ Filkins, Dexter (2 April 2018). "A Saudi Prince's Quest to Remake the Middle East". The New Yorker. Retrieved 9 May 2018. 1 2 3 Hassan, Islam; Dyer, Paul (2017). "The State of Middle Eastern Youth". The Muslim World. 107 (1): 3–12. doi:10.1111/muwo.12175. ↑ Krauthammer, Charles (21 March 2005): "The Arab Spring of 2005" Archived 10 September 2013 at the Wayback Machine . The Seattle Times. Retrieved 7 July 2013. 1 2 Massad, Joseph (29 August 2012). "The 'Arab Spring' and other American seasons". Al Jazeera . Archived from the original on 30 August 2012. Retrieved 29 August 2012. ↑ Marc Lynch (2012). The Arab Uprising: The Unfinished Revolutions of the New Middle East. New York: PublicAffairs. p. 9. ISBN 978-1-61039-084-2. ↑ Marc Lynch (6 January 2011). "Obama's 'Arab Spring'?". Archived from the original on 25 August 2012. ↑ Landler, Mark. "Obama Cites Poland as Model for Arab Shift Archived 23 July 2016 at the Wayback Machine ." The New York Times . 28 May 2011. Retrieved 25 June 2012. ↑ Sullivan, Charles J. "Riding the Revolutionary Wave: America, The Arab Spring and the Autumn of 1989 Archived 24 November 2012 at the Wayback Machine ." The Washington Review of Turkish and Eurasian Affairs. Rethink Institute. April 2011. Retrieved 25 June 2012. ↑ "Open for Business? Archived 9 April 2012 at the Wayback Machine " The Economist . 23 June 2011. Retrieved 25 June 2012. ↑ Davies, Thomas Richard (2014). "The failure of strategic nonviolent action in Bahrain, Egypt, Libya and Syria: 'political ju-jitsu' in reverse" (PDF). Global Change, Peace & Security. 26 (3): 299–313. doi:10.1080/14781158.2014.924916. ↑ Guéhenno, Jean-Marie. "The Arab Spring is 2011, Not 1989 Archived 21 October 2016 at the Wayback Machine ." The New York Times . 21 April 2011. Retrieved 25 June 2012. ↑ "Similarities and Differences between Eastern Europe in 1989 and the Middle East in 2011 Archived 12 November 2012 at the Wayback Machine ". Summarized remarks from a panel discussion sponsored by Middle East Studies @ American University. 30 May 2011. Retrieved 25 June 2012. ↑ "Alexander Kazamias, 'The "Anger Revolutions" in the Middle East: an answer to decades of failed reform', Journal of Balkan and Near Eastern Studies, 13:2, June 2011, pp.143–156". www.academia.edu. Retrieved 20 February 2016. ↑ Cockburn, Alexander (18–20 February 2011). "The Tweet and Revolution". Archived from the original on 27 February 2011. ↑ Korotayev A; Zinkina J (2011). "Egyptian Revolution: A Demographic Structural Analysis". Entelequia. Revista Interdisciplinar. 13: 139–165. Archived from the original on 20 October 2016. 1 2 Courtney Radsch (2013). "Digital Dissidence and Political Change: Cyberactivism and Citizen Journalism in Egypt". SSRN 2379913 . ↑ Reverchon, Antoine; de Tricornot, Adrien (13 April 2011). "La rente pétrolière ne garantit plus la paix sociale". Archived from the original on 17 March 2011. ↑ Perez, Ines (4 March 2013). "Climate Change and Rising Food Prices Heightened Arab Spring" Archived 17 October 2014 at the Wayback Machine . Scientific American . ↑ Friedman, Thomas (7 April 2012). "The Other Arab Spring" Archived 29 November 2016 at the Wayback Machine . The New York Times . ↑ Natalini, Jones & Bravo (14 April 2015). "Quantitative Assessment of Political Fragility Indices and Food Prices as Indicators of Food Riots in Countries" Archived 1 May 2015 at the Wayback Machine . Sustainability . ↑ Merchant, Brian (26 October 2015). "Climate Change and Rising Food Prices Heightened Arab Spring". Motherboard. Vice Media. Archived from the original on 8 March 2016. Retrieved 7 February 2016. ↑ Ross, Alec; Ben Scott (2011). "Social Media: Cause, Effect and Response". NATO Review Magazine. NATO Review Magazine. Archived from the original on 3 November 2011. ↑ Schillinger, Raymond (20 September 2011). "Social Media and the Arab Spring: What Have We Learned?". Huffington Post. Archived from the original on 13 May 2012. Retrieved 21 May 2012. ↑ CNN (12 March 2013). "CNN at SXSW: Social media in Arab Spring" (Online video clip). YouTube. Archived from the original on 13 January 2015. ↑ "Opening Closed Regimes: What Was the Role of Social Media During the Arab Spring?". Ictlogy.net. 22 May 2012. Archived from the original on 31 July 2013. Retrieved 30 May 2013. ↑ "The Arab Spring and the impact of social media". Albanyassociates.com. 23 March 2012. Archived from the original on 12 May 2013. Retrieved 30 May 2013. ↑ Himelfarb, Sheldon. "Social Media in the Middle East". United States Institute of Peace. Archived from the original on 25 September 2012. Retrieved 16 May 2012. 1 2 3 Stepanova, Ekaterina (May 2011). "The Role of Information Communication Technologies in the "Arab Spring"" (PDF). Pircenter.org/. Archived (PDF) from the original on 18 May 2015. Retrieved 17 May 2015. ↑ "Participatory Systems: Introduction" (PDF). Retrieved 30 May 2013. ↑ Wellman, Barry; Rainie, Lee (2014). Networked. Boston, MA: The MIT Press. p. 207. ↑ Kirkpatrick, David D.; Sanger, David E. (13 February 2011). "Egyptians and Tunisians Collaborated to Shake Arab History". The New York Times. ISSN 0362-4331. Archived from the original on 1 February 2016. Retrieved 4 February 2016. ↑ Rainie, Lee; Wellman, Barry (2014). Networked. Boston, MA: The MIT Press. p. 207. ↑ Wellman, Barry; Rainie, Lee (2014). Networked. Boston, MA: The MIT Press. p. 208. ↑ Mellen, Roger (2013). "Modern Arab Uprisings and Social Media: An Historical Perspective on Media and Revolution". Explorations in Media Ecology. ↑ Keller, Jared (18 June 2010). "Evaluating Iran's Twitter Revolution". The Atlantic. The Atlantic. Archived from the original on 17 January 2016. Retrieved 4 February 2016. 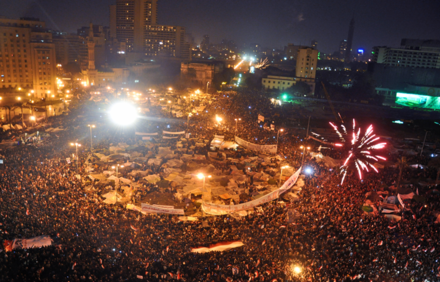 1 2 "Debate flares on 'Twitter revolutions,' Arab Spring." Agence France-Presse 10 Mar. 2013. NewsBank. Web. 26 Oct. 2016. ↑ "Twitter Devolutions". Foreign Policy. Archived from the original on 7 October 2016. Retrieved 2016-10-27. ↑ Stevens, Jonathan (20 October 2010). "Webeaucracy: The Collaborative Revolution" (PDF). Thesis at San Diego State University. ↑ Demidov, Oleg (2012). "Social Networks in International and National Security". Security Index. 18 (1): 22–36. doi:10.1080/19934270.2012.634122. ISSN 1993-4270. ↑ "Middle East Historians and the Arab Spring: Early-Days Assessment". Moshe Dayan Center for Middle Eastern and African Studies (MDC). 2011. Retrieved 2 April 2019. 1 2 Niklas Albin Svensson. "Tunisia: the protests continue". In Defence of Marxism. Archived from the original on 15 January 2011. ↑ "Tunisian government faces growing dissent in mining region". NewsLibrary.com. 4 August 2008. Retrieved 19 March 2011. ↑ Ford, Robert (19 December 2007). "An ailing and fragile Algerian regime drifts into 2008". WikiLeaks. WikiLeaks cable: 07ALGIERS1806. Archived from the original on 5 January 2011. Retrieved 4 January 2011. ↑ Chikhi, Lamine (21 January 2011). "Algeria army should quit politics: opposition". Reuters. Reuters Africa. Archived from the original on 21 January 2011. Retrieved 22 January 2011. ↑ Belhimer, Mahmoud (17 March 2010). "Political Crises but Few Alternatives in Algeria". Arab Reform Bulletin. Carnegie Endowment for International Peace. Archived from the original on 13 February 2011. Retrieved 13 February 2011. ↑ "Mass exodus" from Western Sahara cities Archived 23 October 2010 at the Wayback Machine . Afrol News, 21 October 2010. ↑ "Saharawi protests, violence and blackmail Moroccan". On the News. 20 May 2011. Archived from the original on 27 July 2011. Retrieved 6 June 2011. ↑ "Tunisia suicide protester Mohammed Bouazizi dies". BBC News. 5 January 2011. Archived from the original on 24 January 2011. ↑ Hardy, Roger (2 February 2011). "Egypt protests: an Arab spring as old order crumbles". BBC. Archived from the original on 22 March 2011. Retrieved 9 March 2011. ↑ Ashley, Jackie (8 March 2011). "The Arab spring requires a defiantly European reply". The Guardian. UK. Archived from the original on 21 September 2013. Retrieved 9 March 2011. ↑ "Arab Spring – Who lost Egypt?". The Economist. 1 March 2011. Archived from the original on 8 March 2011. Retrieved 9 March 2011. ↑ Miller, Aaron. "What Is Palestine's Next Move in the New Middle East?". Moment Magazine. Archived from the original on 14 June 2011. Retrieved 5 June 2011. ↑ "The Arab awakening – Spotlight". Al Jazeera English. Archived from the original on 4 July 2012. Retrieved 5 July 2012. ↑ "Arab Awakening?". American Thinker. 2 June 2011. Archived from the original on 17 June 2012. Retrieved 5 July 2012. ↑ "The Arab awakening reaches Syria". The Economist. 21 March 2011. Archived from the original on 22 April 2011. ↑ Laila Lalami (17 February 2011). "Arab Uprisings: What the February 20 Protests Tell Us About Morocco". The Nation. Retrieved 5 July 2012. ↑ "Democracy's hard spring". The Economist. 10 March 2011. Archived from the original on 27 May 2011. ↑ Fahim, Kareem (22 January 2011). "Slap to a Man's Pride Set Off Tumult in Tunisia". The New York Times . Archived from the original on 21 May 2012. Retrieved 1 February 2011. ↑ Noueihed, Lin (19 January 2011). "Peddler's martyrdom launched Tunisia's revolution". Reuters UK. Archived from the original on 9 February 2011. Retrieved 1 February 2011. ↑ Raghavan, Sudarsan (27 January 2011). "Inspired by Tunisia and Egypt, Yemenis join in anti-government protests". The Washington Post. Archived from the original on 30 April 2011. Retrieved 1 February 2011. ↑ "Yemenis square off in rival 'Day of Rage' protests". Arab News. 3 February 2011. Archived from the original on 7 July 2011. Retrieved 6 February 2011. ↑ "Police in south Yemen disperse 'day of rage' protests". Aden, Yemen: Google News. Agence France-Presse. 11 February 2011. Archived from the original on 14 February 2011. Retrieved 13 February 2011. ↑ Murphy, Brian (13 February 2011). "Bahrain moves to foil anti-government rallies". The Washington Post. Archived from the original on 9 November 2013. ↑ Bayat, Asef (2017). Revolution without Revolutionaries: Making Sense of the Arab Spring. =Standford University Press. ISBN 9781503602588. ↑ "Tunisia's Ben Ali flees amid unrest". Al Jazeera. 15 January 2011. Archived from the original on 19 March 2012. ↑ Spencer, Richard (23 February 2011). "Libya: civil war breaks out as Gaddafi mounts rearguard fight". The Daily Telegraph. London. Archived from the original on 30 March 2011. Retrieved 12 June 2011. ↑ Bakri, Nada; Goodman, J. David (28 January 2011). "Thousands in Yemen Protest Against the Government". The New York Times . Archived from the original on 9 November 2016. 1 2 3 "Protester killed in Bahrain 'Day of Rage'". Reuters. 14 February 2011. Archived from the original on 18 February 2012. ↑ McCrummen, Stephanie (25 February 2011). "13 killed in Iraq's 'Day of Rage' protests". The Washington Post. Baghdad. Archived from the original on 30 April 2011. Retrieved 12 June 2011. ↑ "Thousands protest in Jordan". Al Jazeera. 28 January 2011. Archived from the original on 17 November 2011. Retrieved 12 June 2011.